Artificial Grass Near Santa Rosa, Sonoma County, CA & Beyond. If you’re looking to install artificial grass in Santa Rosa, Sonoma County, CA, we at Watersavers Turf can help. We’re the go-to dealers of artificial grass in Santa Rosa, Sonoma County, CA, with 40+ types in stock. We also carry a wide range of tools for your new lawn. 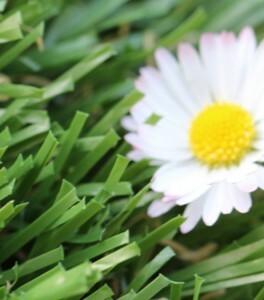 Want to know more about installing artificial grass in Santa Rosa, Sonoma County, CA? If so, you’ll get all the info you need at one of our free classes. Need to find a crew who installs our products? We’ll refer you to one. We always work hard to offer the best service around. 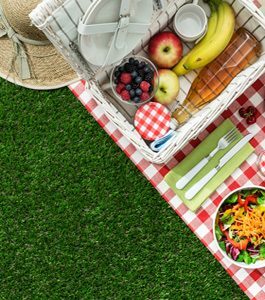 The benefits of fake grass in Santa Rosa, CA range from saving money to saving the planet. Unlike a grass lawn, it needs little upkeep. There’s no mowing, watering, or seeding involved. Thus, lower bills are among the main benefits of fake grass in Santa Rosa, CA. By using less water, you’re also saving more for your neighbors. The benefits of fake grass in Santa Rosa, CA, don’t merely impact your life—they impact the whole planet. Want more info? Check the numbers. Make the switch to a fake lawn, and you could save $2,000 and 30,000 gallons of water each year. Our Annual Cost Savings Chart will give you even more useful info. Our turf is always lead-free and non-toxic. We neither support nor sell products with crumb rubber infill. To confirm that our turf is lead-free and UV-resistant, we perform thorough artificial grass testing. We also test to make sure it there’s no fire risk. Plan on using our turf on a sports field? You’ll be glad to know it meets FIFA standards. Watersavers Turf is the only dealer in the area with an 18-year residential use warranty (10-year commercial use). It’s part of our goal to offer major benefits for lawn replacement in Santa Rosa, CA. Are you a contractor based in the region? Expand your business with lawn replacement services. In recent years, people have found many new, smart ways to use faux grass. As a result, demand for experts who can install it is on the rise. To get in on this market early, attend one of our free classes. Check our schedule to find the next session you can attend. Simply looking for the right lawn replacement turf? We’ll help you choose the best style for your goals. That said, we know it can be hard to select the ideal turf for your needs. After all, you do have more than 40 styles to choose from. We want to make the process simple. To do so, we carry free 1’ x 1’ samples of our products. Get yours at one of our SF Bay Area locations. Unable to make the trip? No sweat. We ship to all addresses in the Continental United States. We don’t even charge contractors for shipping! Our products aren’t just useful for people who want to replace their lawns. People ranging from hotel owners to city-dwellers have come up with smart uses for them. In our blogs and newsletters, we often cover these stories. Read them to learn more about what makes our turf so useful. With the most competitive pricing in Northern California region, Watersavers Turf will equip you with a lawn you can afford. For more info, call 844-974-8873. Prefer getting in touch over the web? Contact us online for a free estimate. Want to learn all about the many uses for residential artificial grass and commercial synthetic grass? We could never list them all in one place. Perhaps you’re a homeowner. Maybe you have major landscape design plans for your lawn. Sadly, there’s a big difference between planning a dream yard and owning one. Sticking to a lawn care schedule gets tedious after several years. On top of that, you can’t prevent sudden shifts in weather or climate. A rain-drenched lawn is just as unsightly as a barren, dry one. With our grass, you’ll have a perfect yard that looks just the way you planned. Unlike live grass, our products stay green and vibrant all year long. Not sure you want to replace all your grass just yet? You don’t have to. Our fake turf makes a great surface for a backyard lounge area. 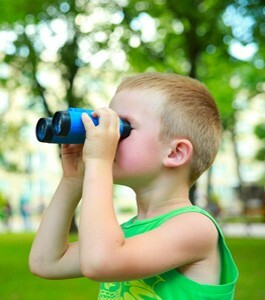 Do your kids like to play out in the yard? You can even install cushions beneath your turf. Doing so protects them from falls. Business owners also find great uses for our turf. After all, curb appeal has a major impact on your success. 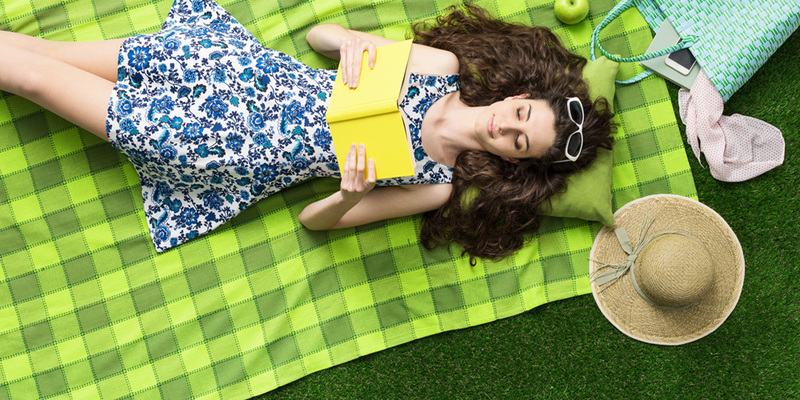 If people spot your bright, green lawn, they’ll be much more likely to visit. If your grass is bare or patchy, they’ll keep driving. Café owners use our products to convert outdoor space into extra seating for guests. In major cities, faux grass transforms shopping district roads into tourist-friendly plazas. This is a great way to attract guests during major shopping seasons. Outdoor concert venue owners rely on fake grass to expand their lawn seating. Some business owners even use it to make their workers more content at work. Your staff members will be much more relaxed if they have a calming, green space they can enjoy during breaks. As you can guess, there are also plenty of great uses for artificial sports turf and pet grass. Teams and leagues often choose to replace their real grass fields with sports field turf for many reasons. First of all, our products stay in great condition, even after intense storms. That means fewer games and practices are called off because of rain. A live field gets sloppy after a heavy rain. Ours dries quickly. This means players are less likely to slip and injure themselves. That’s one of the main reasons why school districts are drawn to sports turf. Schools hoping to preserve athletic programs while also sticking to a limited budget find it helps solve a major problem. With faux grass, they can offer young athletes a safe playing field without having to spend a lot of money on upkeep. Sports field turf is probably the most well-known style of fake grass on the market. It’s been used for decades now. 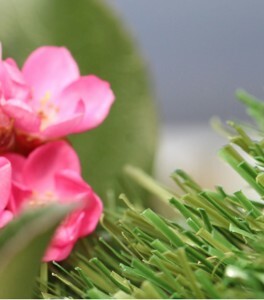 However, pet grass is also a useful style of turf to look into. If you have a dog, it’s smart to let your little buddy get a workout from time to time. The problem is, after they’re finished running around the yard, they often track mud inside with them. You could clean up after them every single time this happens, but that’s a challenge. Instead, put a pet grass dog run in your backyard. This gives your dog a chance to run around outside without tracking dirt into your home afterward. In fact, kennel owners who install fake grass play areas often attract more business. By offering their clients a safe spot for dogs to have fun, they’re able to grow their client list. Because of Watersavers Turf, you’ll never struggle to find turf tools and turf accessories in Santa Rosa, CA. We carry all the items you need to install and maintain our products. With the EasySeam machine, you can bind turf sections quickly without the use of glue. This is a very useful item for contractors. By wrapping up jobs faster, you can boost your overall productivity. Want your outdoor walls to look as bright and green as your lawn? Our boxwood panels are just what you need. We even carry golf flags! Check our full catalogue to see all the items we have to offer. How do you like to spend your free time? 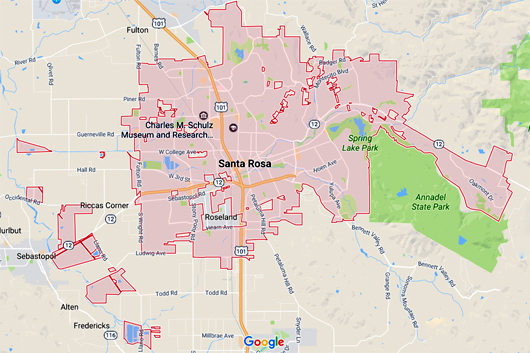 No matter what your answer is, it’s easy to find things to do within Santa Rosa. Fans of the classic Peanuts cartoon strip can spend a day at the Charles M. Schulz Museum and Research Center. Here, you’ll learn all about the characters and their creator. If you’re a history buff seeking things to do within Santa Rosa, make your way to the Pacific Coast Air Museum. This site offers an in-depth look at aviation. For sports fans, there are also plenty of things to do within Santa Rosa. Head to Sypher Field at Santa Rosa Junior College, a synthetic turf field where the varsity baseball team plays and practices. While you’re around, remember to visit the nearest Watersavers Turf to discuss your project. Again, if you’re not going to be in Northern CA in the near future, that’s not a problem. To learn more about our free samples, free delivery offers, and free estimates, call 844-974-8873 toll-free or contact us online. We’ll be happy to answer any questions you may have.